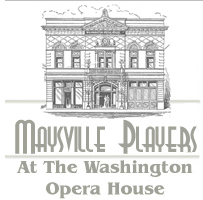 The Maysville Utility Commission is an advisory board that, along with the City Treasurer, oversees the operation and maintenance of the water and wastewater system for the City of Maysville and the water system for Old Washington, Lewisburg, May’s Lick, Wedonia, Stonelick, and Pinewood. The Utility Commission makes recommendations of rate increases and other matters to the City Board of Commissioners. The Utility Commission meets on the second Wednesday of each month at 10 a.m. at Maysville Municipal Building, 216 Bridge Street. Staff liaison for the Utility Commissioner is Comptroller Penny Frances who may be contacted at 606-564-2701 or pfrances@maysvilleky.net.